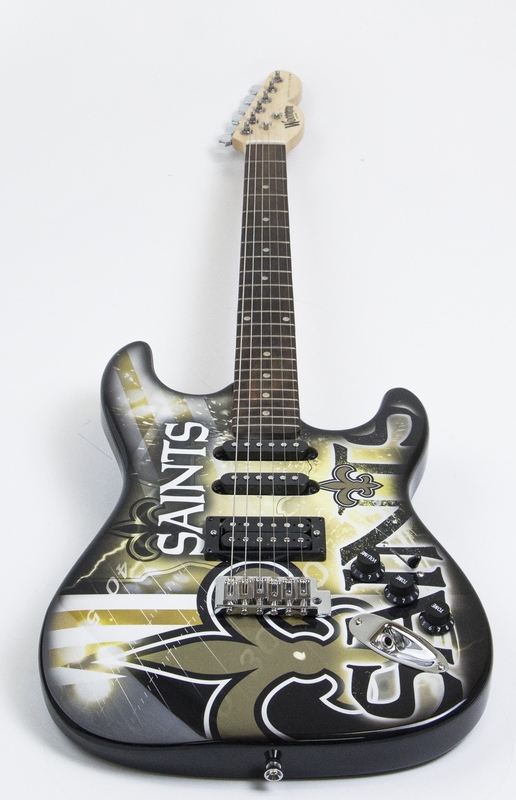 Wow your audience with this Nfl officially-licensed New Orleans Saints Northender Guitar by Woodrow. The team that has delivered iconic players like Archie Manning and several playoff appearances deserves to be commemorated by the timeless appeal of the NorthEnder. This highly-collectible piece of musical art features a pure wood body, a solid maple neck, and a beautifully engraved, individually-numbered metal plate. The base showcases the Saint's logo, the fleur-de-lis, against a beautiful background of black, old gold, and brilliant white. 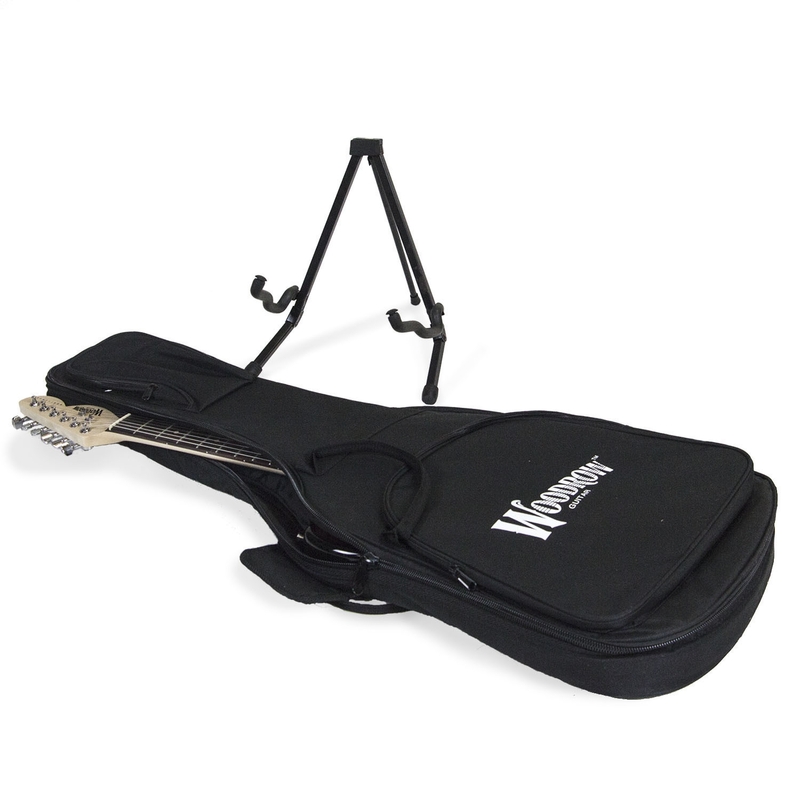 The instrument is weighted for professional play and is shipped with a Woodrow-brand padded gig bag as well as a guitar stand. Don't let your love for Gumbo and Sir Saint be absent from stage a moment longer! Purchase one of these guitars before they're gone!